Did You Know? Why Some Ice Cream Is a "Frozen Dairy Dessert"
You scream, I scream, we all scream for... frozen dairy dessert? With summer now in full-swing, I thought it'd be a good time to take a look at the official hot weather dessert: ice cream. The words "frozen dairy dessert" sound far less appealing than "ice cream," which evokes a sense of childhood nostalgia (at least for me) about the satisfying sweetness that made hot summer days just a little bit more bearable. But the reason that some ice cream packages note that the product inside is a "frozen dairy dessert" is due to FDA regulations on the the term "ice cream." 1. Ice cream must contain a minimum of 10% dairy milkfat. 2. Ice cream must have no more than 100% overrun and weigh no less than 4.5 lbs. per gallon. But what the heck is "overrun," you ask? Well, overrun is the amount of air that is whipped into the ice cream base during freezing and is usually presented by a percentage. For example, with 100% overrun, for every gallon of ice cream base you would wind up with 2 gallons of finished ice cream. So now we know what constitutes ice cream. Anything with less than 10% milkfat and/or more than 100% overrun cannot use the term "ice cream" officially, hence the designation of "frozen dairy dessert." But to make things even more confusing, the "frozen dairy dessert" category itself can be broken down into numerous subcategories based on the milkfat percentage, and all of those categories include the words "ice cream" (in conjunction with descriptors) despite failing to meet the criteria for ice cream proper. Keep in mind, though, that these labels are Commercial Item Descriptions set out by the USDA. That is, they are marketing terms and, with the exception of "ice cream" as defined, are not federally regulated. Companies may choose to use these item descriptions for their products if they wish. The following are labels you might see applied to frozen, creamy treats regarding their milkfat content, and an example of each. Ice Cream - As mentioned, ice cream must contain no less than 10% dairy milkfat. Examples: Dreyer's/Edy's. Reduced Fat Ice Cream - Contains at least 25% less total milkfat compared to standard product. Example: Dairy Queen and McDonald's soft serve. Light Ice Cream - A minimum of 50% less total milkfat. Example: Dreyer's/Edy's Slow Churned line. Lowfat Ice Cream - Has a maximum of 3g of total fat per 1/2 cup serving. Example: Skinny Cow Lowfat Ice Cream. 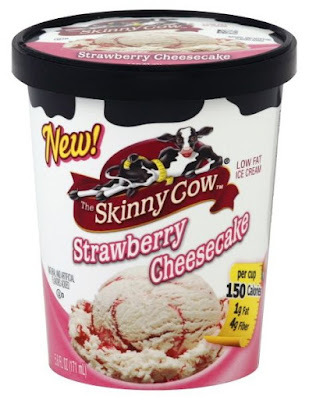 Nonfat Ice Cream - Contains less than 0.5g of total fat per serving ("nonfat" is a bit of a misnomer, but companies are allowed to round down to 0g fat on their nutritional information labels). Example: Breyers Fat Free line. A company may sell multiple types of dairy-based products from line to line. 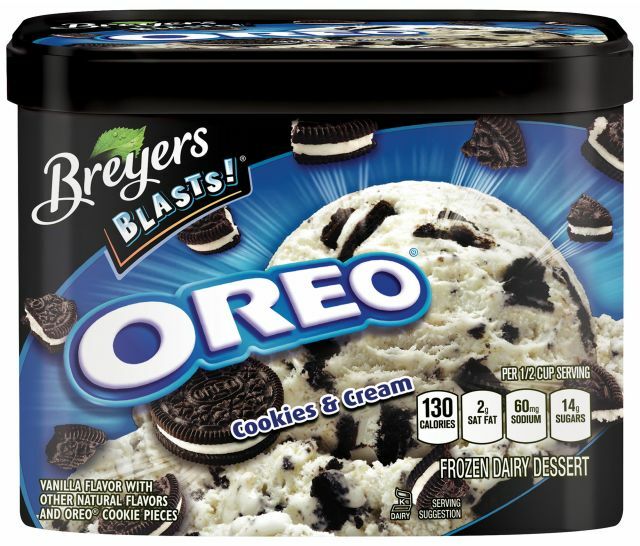 For example, Breyers sells both ice cream (their original "Natural" line) and frozen dairy desserts (the entirety of the Breyers Blasts! line), which include many of the candy flavors like Reese's. In addition to labels based on the fat content of the ice cream (or frozen dairy dessert, to be more accurate), there are likewise quality segments within the official "ice cream" category based on overrun and ingredient quality. 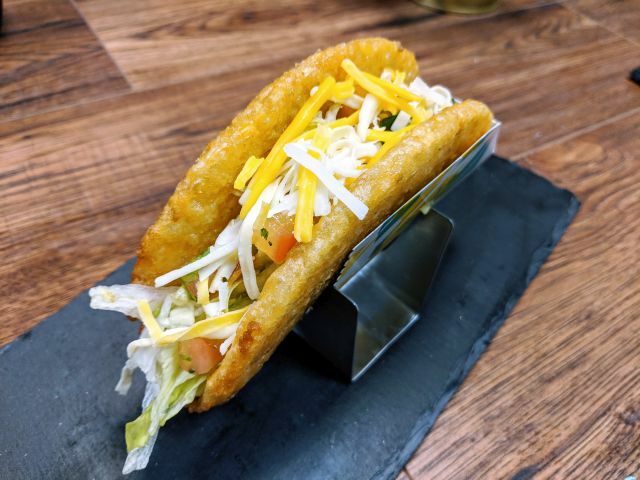 Once again, these are marketing definitions set out by the USDA but are not federally regulated. Economy Ice Cream - Meets the fat (10%) and overrun (100% or less) required of the the federal ice cream standard, but tends to sell for a lower price than standard ice cream. Example: Typically the store brand, or those large tubs of ice cream ubiquitous to kid's birthday parties everywhere. 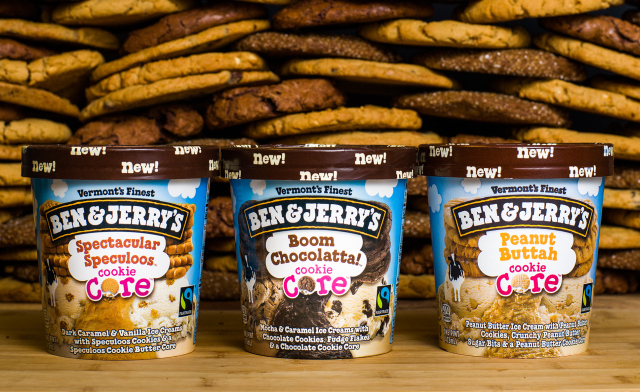 So what about the other kinds of treats that pop up in the frozen dessert aisle at your local supermarket? What makes gelato and frozen custard different from "ice cream" as we have now defined it? Gelato is ice cream's Italian cousin. The word gelato actually means "ice cream" in Italian, but there are differences between gelato and ice cream in the U.S. regarding milkfat content. Gelato generally contains less milkfat than the FDA requirement for ice cream, but it also tends to have a particularly low overrun (typically 20-30%), resulting in a lower-fat but still dense and rich frozen dessert. There is no standard definition set out by the FDA regarding gelato, but the Italian government requires their gelato to contain a minimum of 3.5% milkfat with no upper limit established. Talenti is an an example of gelato, which has a dense texture with a weight of 100g per 1/2 cup but only 9% milkfat (according to my calculations of the nutritional info on the Tahitian Vanilla Bean flavor). Frozen Custard, also known as French ice cream, is very similar to ice cream except that it must contain a certain amount of egg. Frozen custard must contain a minimum of 10% milkfat as well as at least 1.4% egg yolk (anything with less egg yolk is simply considered ice cream). Frozen custard is characteristically very dense and typically has an overrun of 15-30%, and combined with the high milkfat and egg yolk, produces a frozen dessert with a smoother consistency than ice cream. 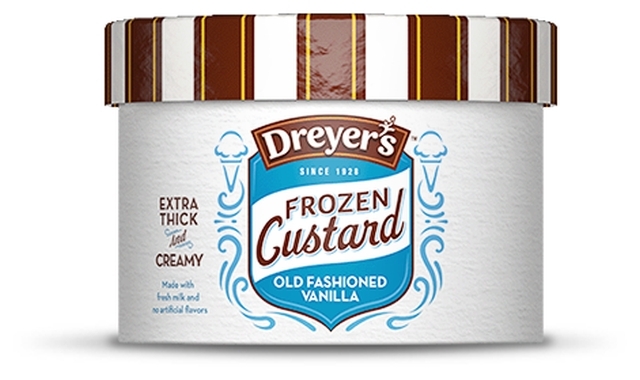 Unlike ice cream, frozen custard was typically prepared fresh at the place of sale (such as a frozen custard shop), but recently Dreyer's/Edy's has released a Frozen Custard line commercially available in supermarkets. Personally, no matter the label attached to the container, I'll always just call it "ice cream" if it's creamy and frozen. This includes the pints upon pints of Talenti currently nestled in my freezer. If you'd like to read the official FDA regulation code on ice cream, you can find it here. If you'd like to see the USDA Commercial Item Description for ice cream and related products, the document can be found here.